The Salem Chamber and Salem Main Streets are organizing a holiday shopping event for the Salem, MA downtown area on Small Business Saturday, November 24 from 10 am - 7 pm. Small Business Saturday is part of the "Shop Small" movement initiated by American Express to encourage holiday shoppers to shop local on Saturday, November 24. 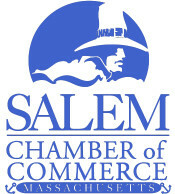 If you have any questions, please contact the Chamber/Main Streets staff at 978-744-0004 or email directly to info@salem-chamber.org. Come Shop in Salem on Small Business Saturday! Enjoy a sample of warm wassail while you check off history books, unique crafts, and other high-quality gifts. A limited quantity of reusable “Small Business Saturday Shopping Bags” will be available with a purchase of $25 or more. Spend $50.00 in our Museum Store on 11/23 or 11/24 before the Inventing Santa Claus lecture and your admission is free! Just show your receipt for entry. Space is limited. Book signing for Inventing Santa Claus with author Carlo DeVito at 3:00. Every purchase made in our Museum Store supports the dual mission of preservation and education at The Gables. - Sip on warm cider while browsing our hand-crafted candles, curated book selections, jewelry, home decor and other unique gift ideas. - 15% discount on purchases $50 or more. - A limited quantity of reusable "Small Business Saturday Shopping Bags" will be available with purchase. - Enter to win a $100 Witch City Wicks gift card! On Friday, November 23rd, we will be offering a promotion where if you spend $20 or more you will receive a free half pound of fudge. On Saturday, November 24th, in-store sales will be 15% off, excluding the sale of gift cards and shipping costs. On Monday, November 26th, there will be free shipping for all orders placed through our web site. 10% off $50+, $250 shopping spree contest/giveaway, mystery prizes, treats hidden throughout the shop. For every $50 purchased in gift cards, you'll receive a $5 gift card from us. We will be doing a sip and shop! Get a head start on some stocking stuffers and enjoy some complimentary treats while you browse! Holiday Market with local artists, music, and more. Enjoy refreshments while you shop for the holidays. Shop our eclectic mix of home decor and gifts. Featuring handcrafted fair trade items, locally made products, personal accessories and vintage finds. Receive a Small Business Saturday canvas tote with every purchase (while supplies last). As a thank you, receive a 15% off coupon towards your next purchase. Small Business Saturday FREE festively wrapped mystery gift for all purchases over $20. What will be in the package? We won't tell! Shop with us on Small Business Saturday and give the gift of a cozy home this season. Save 25% off rugs, home decor, and accessories from Dash & Albert and Pine Cone Hill, and 25% off rugs from KALEEN. Salem Food Tours will be running AM Coffee Walks this weekend - ticket holders receive 10% off purchases at some of our wonderful shop Partners. Complimentary coffee and cider will be available throughout the day. Sip while you shop! Salem Black Cat Tours is offering a special Natives and Settlers Tour at a discounted rate of $10 per adult and $5 per child. Learn about the native population of Salem and how their interactions with the early British colonists shaped the course of the new world. Discover how they impacted everything from the food they ate to the infamous witchcraft trials of 1692. 10% off any purchase of $100 or more. Plus enter drawing to win macrame plant holder with plant!! 1. Please fill out the form to the right to let us know if you will participate with your business. We will create a list of participating businesses on our website including your promotions for the event (at no cost). 2. 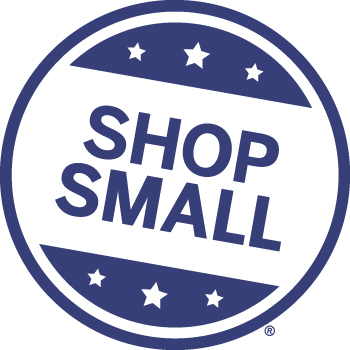 Sign up through the Shop Small site, so that you are included on the Small Business Saturday database of businesses in Salem that are participating. All participating businesses will become a part of the promotional efforts for the event.